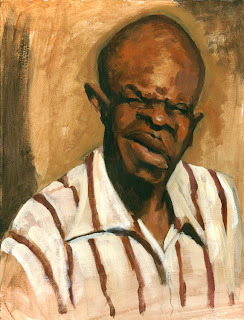 Here is a caricature of actor Keith David that I've been working on. I actually started this a few weeks ago, but I got sidetracked by some other projects (some art projects and some home projects). One of the few things I've ever done in acrylic. I will repost when I get around to finishing this one. 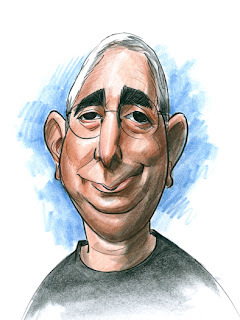 This is a park sketch I did of Ben Stein. 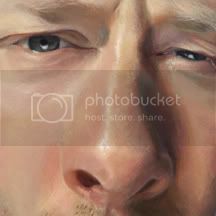 I started a few more exaggerated attempts at his face, but none of them even came close to a likeness. Sometimes I have a hard time with faces that should be really easy. I'd call that painting done. That's awesome as it is. I love the painting of Keith David, and the drawing of Ben Stein is unmistakable. Hey Ken, this acrylic piece is really great! So are you still creating? Give us some love, Kenny!